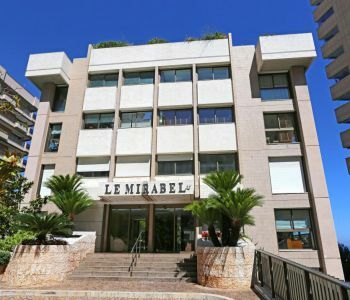 spacious penthouse / duplex, luxurious and renovated, 5 bedrooms, with panoramic sea view, on the edge of the much sought after area of the Golden Square: 1st level : entrance hall, guest toilet, double living room, kitchen, 2 bedrooms with bathroom en suite, 1 bedroom and shower room, many dressing rooms. 2 terraces. Upper level : 2 bedrooms, 1 bathroom, dressing rooms, large circular terrace box for 3 cars - 1 cellar beautiful height under ceiling, electric shutters and air conditioning. complete home automation management, pre-wiring audio / video and internet, thermal and sound insulation ... Total indicative surface of 440 m² including 310 m² of living space and 130 m² of terraces. 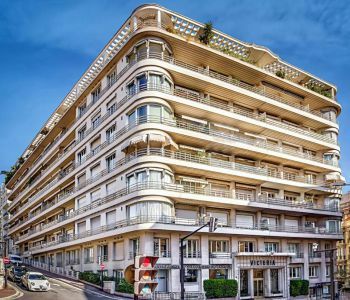 MONACO- Carré d'Or - Park Palace - Large one bedroom apartment on the second floor of a well-known building in the heart of the Principality, in front of the gardens of the Casino, provided with indoor pool, sauna, fitness room and caretaker and security service 24/7. 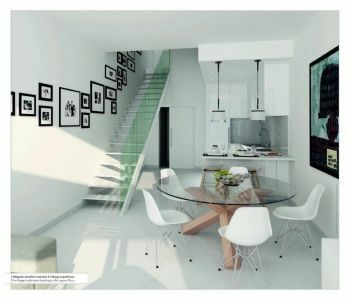 The flat is composed of a hall of entrance, living room giving access to a spacious terrace, independent kitchen, bedroom opened on a balcony and bathroom with bathtub and wc. A cellar and an indoor parking space complete this offer. 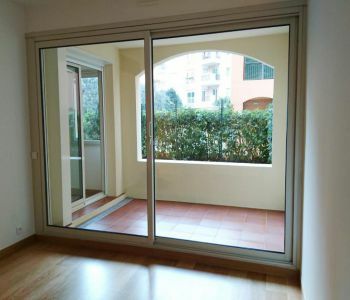 The apartment is actually rented for 7.250 euros/month ( plus condominium fees). 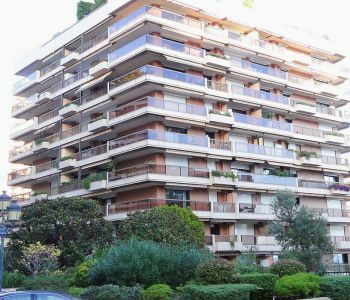 This large 4 bedroom- apartment, facing south, offers lots of light, with a modern renovation. 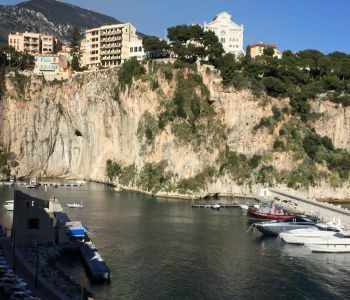 The nice terrace gives on the Port and the Principality. One Cellar and a big parking space is included. 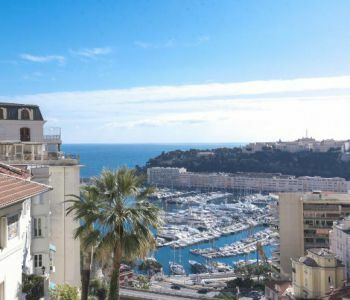 One bedroom duplex apartment situated on the 5th and 6th floor in the Principality's newest luxury residence, "Le Stella". 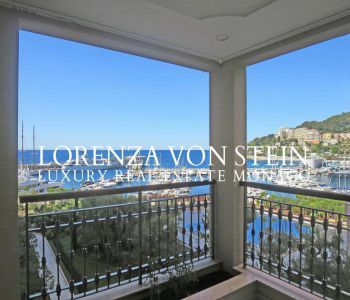 Spread over two floors, this unit provides an abundance of living space with a vast terrace boasting views of the port and the palace. On one level the apartment is composed of an entrance hall with guest toilet, a vast living room with open plan kitchen and a terrace. On the second floor the bedroom and it's en-suite bathroom can be found. 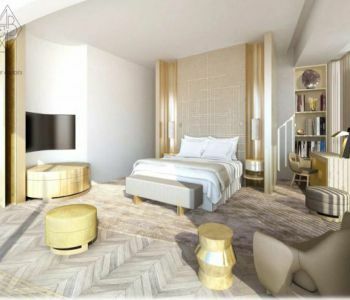 Having just been completed, the residence offers it's residents finishes of a very high standard as well as the newest technologies. Additional amenities include 24 hour concercierge service and a gym situated on each floor of the building. The property comes with one parking space in the building. 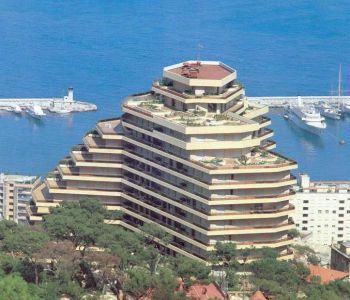 Au coeur du carré d'or, joli 3 pièces bien agencé à la décoration contemporaine et vue mer. 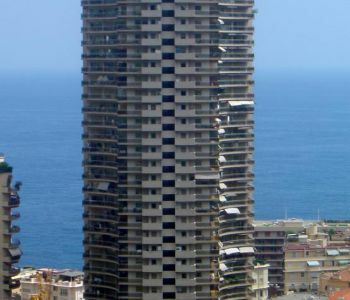 Cet appartement se compose d'une entrée, d'un séjour avec un balcon filant et vue mer donnant sur une cuisine américaine équipée de matériaux nobles et ilot central, de 2 chambres, d'une salle de bain et d'un toilette séparé. Un parking complète ce bien.